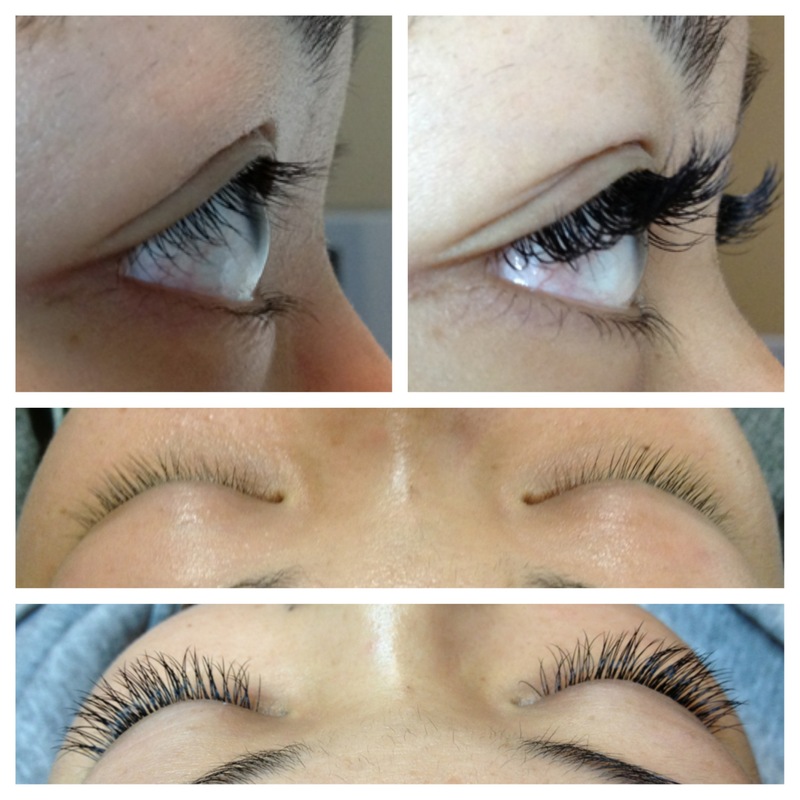 A beautiful set of eyelash extensions. Each extension lash is applied individually to each natural lash to create thicker, fuller, curlier lashes that can last up to a month. Touch-up appointments are scheduled anywhere from 2 – 4 weeks to keep the lashes full and clean.